April showers bring May flowers, but what does Spring Break bring? As we enter into the spring season, many of us are focused on having some fun in the sun, and there’s definitely plenty of fun to be had! Warmer days mean beach trips, pool days, wandering through swap meets, maybe even catching a movie on the beach, a concert in the park, or a quick camping trip. Our beautiful county offers all of these so get out there and plan some memories! Resources and availability are readily accessible through each city or area’s websites so take advantage of the beautiful weather and scenery during your school break! That having been said, as always, we recommend protecting yourself first. Look up weather conditions, bring your sunscreen, a hat (one for each person – no sharing!) and appropriate clothing, so you can make the best of your outdoor outings! And always remember, public spaces breed public illness so don’t forget to put your hair up (braids and buns is what we love), extra hand sanitizer for the cooties, and maybe even a spritz of our enzymatic preventative treatment just to be on the safe side! Whatever you do, we hope you have a wonderful spring and get out and enjoy the beautiful world around you! Getting rid of them is great, but how do I not get lice in the first place? So many people want to know what they can do to simply not get lice to begin with. Unfortunately, there’s not really one simple answer to that question. With so many products on the market claiming to prevent or repel lice, where does one begin? There are sprays and shampoos and oils and plants and even kitchen staples that people swear by, but what really works? Well, to be honest, not much. But there are a few options which can at least keep them at bay. Let’s take a step back for a moment, and make a quick observation: there are simply some people who lice just like. Similar to mosquitos or ants, some peoples’ chemistry is more attractive to these little parasites than others. While no one is really sure why a type of insect may be attracted more to one person than another, the fact remains that it happens. So, if you happen to be one of the unlucky few who simply draw out the bugs like the Pied Piper of Insectville, let’s just say it’s because you’re so sweet. At least until more research can tell us really why. In the meantime, there are myriad options available just about everywhere promising to keep them away, with testimonials and tradition-based reasoning to back them up. With any folk remedy, though, these must be treated with a grain of skepticism. Many of them are great for your hair and skin, like tea tree, coconut, and olive oils, but there’s little evidence to back up the claims that they will do much of anything unless used in such amounts that they choke everything including your own scalp. And they typically have to be left on the head for up to 48 hours, which can certainly cramp ones style. Other options like vinegars and mayonnaise and mouthwash (yes, I’ve personally heard that one!) and garlic may lead to a great salad dressing, but humans are not salads. And again, there’s little to no evidence that these do much of anything. There are also plant extract based sprays with ingredients like peppermint, lavender, and licorice root, but these show very little effectiveness either. So now let’s talk about what does work. Frankly, we’ve only found one folk remedy which seems to keep the little invaders at bay. Neem oil, which has been used for thousands of years, does show some compelling evidence of being able to kill lice as well as discourage them from infesting someone to begin with. There’s a catch though: it’ll likely repel anything else with a nose too, the stuff smells AWFUL. Our recommendation is to skip the folk remedies altogether, and instead use the enzyme-based treatment we use and sell here at Lizzie’s Lice Pickers after any potential exposure to nip the nits in the bud. Because it’s natural and pesticide free, it’s safe enough to use daily without any side effects or hair damage. Also, always keep girl’s hair up in braids and buns with plenty of hairspray or gel, and boys’ hair cut short with plenty of product too. Sometimes offense is the best defense! 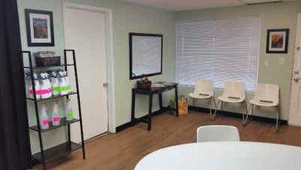 In the end, when it comes to lice, vigilance is the best approach to avoiding a recurring or chronic problem. Check regularly, treat early, and always do your follow up just to be sure!